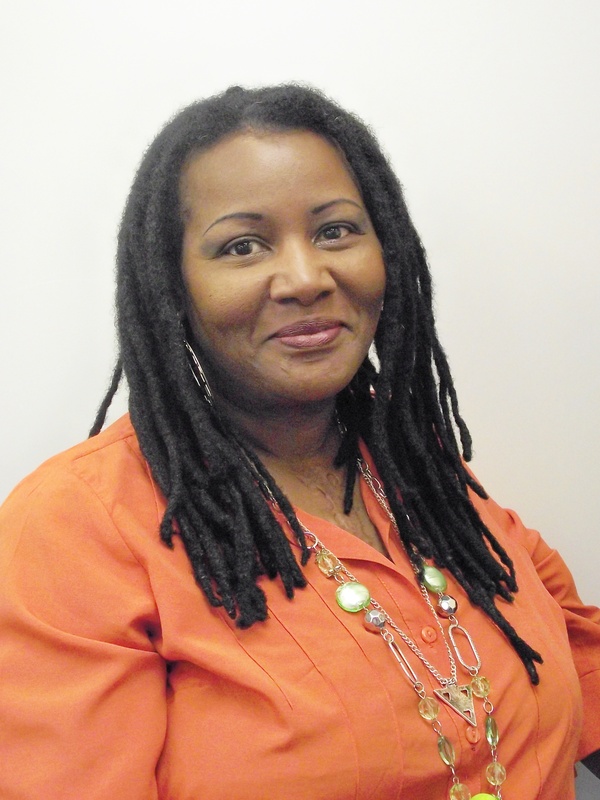 Nuzo Cambridge Onoh is a British writer of African heritage. Born in Enugu, in the Eastern part of Nigeria (formerly known as The Republic Biafra), she lived through the civil war between Biafra and Nigeria (1967 – 1970), an experience that left a strong impact on her and continues to influence her writing to date. She attended Queen’s school, Enugu, Nigeria, before proceeding to the Quaker boarding school, The Mount School, York, (England) and finally, St Andrew’s Tutorial college, Cambridge, (England) from where she obtained her A’ levels. Nuzo holds both a Law degree and a Masters Degree in Writing from Warwick University, (England). A keen piano player, Nuzo also has an NVQ in Digital Music Production from City College, Coventry. She sometimes writes under the pseudonym, Alex Stranger-Onoh. She has two daughters, Candice and Jija and lives in Coventry, England. When not writing or haunting the Coventry War Memorial Park, Nuzo runs her own independent self-publishing house, Canaan-star Publishing, UK and is a regular guest on BBC Coventry and Warwickshire Radio. Nuzo is a strong believer in re-incarnation and The Law of Attraction. In writing The Reluctant Dead, Nuzo pulled from her childhood experiences, growing up amidst the death and carnage that was the Biafran/Nigerian civil war, where the boundaries of life and death merged into a blurred line for her. She lost several family members in the war and her family house in Old Biafra is littered with the graves of her dead ancestors as well as the more recent graves of her sister, brother, niece, father, uncle, and grandmother. In fact, the stone-brick family house perched above the notorious Milliken’s Hill, Ngwo, Enugu State, is believed to be a haunted mansion. So, death and the afterlife have always played a big part in Nuzo’s life, hence her fascination with ghost stories and the mysteries of reincarnation. She hopes to bring the rich and unique culture of the Igbo race to a wider audience, using the medium of horror and mystery. Lovers of the Japanese Kaidan Horror tradition will love The Reluctant Dead, which adopts the same thematic approach as Japanese horror. Her next book, Our Bones Shall Rise Again will be published in April 2015. Q. Women, and especially black women in horror have been unrepresented. Do you think that’s beginning to change? A. Definitely!! Anyone that reads the book, 60 Black Women in Horror Writing will realise how far Black women have come in that hitherto, White male-dominated world. However, as the book shows, there are few non African-American women writers and writers like Akua Lezli Hopes and Nnedi Okorafor who are of African descent write more on Fantasy than pure African horror with our mish-mash of cultures, superstitions and dark practices. I’m hoping to see more Black British and African female writers in future. Q. What is African Horror, and how does it differ from the mainstream horror genre? A. African Horror is a cesspool of terrifying supernatural entities and superstitions, which very few cultures can rival in their sheer volume and malevolence. Africa is a culture that accepts the supernatural as a normal part of everyday living. So for instance, here in the West, if a person dies, there can be only two main causes of death, natural causes or unnatural /unexplained causes, usually murder or manslaughter. But rarely are the deaths attributed to supernatural causes unless one lives in the era of the Blair witch trial or Bram Stoker’s Transylvania. But in African culture, in particular the Igbo culture about which I write, no death is simply natural unless it is an old person who has fulfilled all social and cultural obligations of marriage, children, productivity and a high moral compass. Otherwise, every death is viewed as suspicious, an act of the ancestors, gods, bad karma, ghosts, witchcraft, night-flyers, mamiwater, juju and a host of other supernatural causes. The type of death will generally determine the type of ghost that manifests, the level of malevolence exhibited and the degree of intervention required by powerful witchdoctors or Pentecostal prayer warriors. So, one can see that African ghosts always have some unfathomable agenda and that’s what I think makes the horror more unsettling and chilling than mainstream horror. Q. 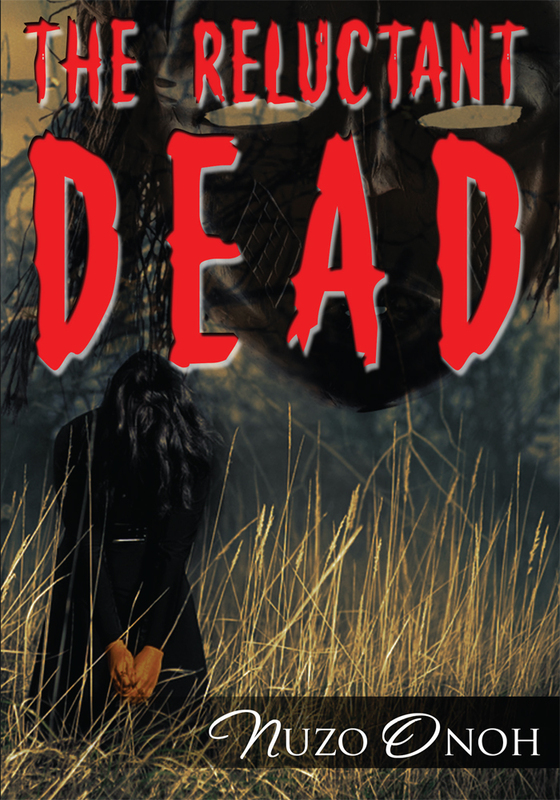 What can you tell us about your recently released horror anthology, The Reluctant Dead? How does it fit into the African Horror genre? A. The Reluctant Dead is a collection of six ghost stories, set in Old Biafra, part of modern day Nigeria. The stories depict core Igbo traditions, superstitions, practices and beliefs within the supernatural context. Most of the stories are themed around revenge and unfinished business, since unlike Western ghosts, African ghosts never just manifest for the sole purpose of scaring the wits out of lily-livered humans. They always have an agenda, good or bad and the six stories in my book explores Igbo myths and superstitions amidst hauntings, possessions and manifestations. I hope to create a narrative that is unsettling enough to satisfy horror fans and show that true horror does indeed transcend all cultural barriers. Q. What are the underlying themes that join together the six stories in the book? A. Restless spirits and hauntings, revenge, unfinished business and Igbo superstitions and beliefs within a supernatural context. Q. You lived through the Biafran/Nigerian civil war. How did the experience impact you as a writer? A. As some people may recall since it happened a long while ago, the Igbo race fought a bitter civil war with Nigeria commonly known as the Biafran War. It lasted for 3 years and saw over one million Biafrans killed, including several members of my extended family. I witnessed first-hand the horrors of death, sickness, abuse and violence and can say unequivocally that the war moulded my perception of life, death and the afterlife. While other children went to bed on innocent bedtime stories, we Biafran kids slept on moonlight stories of ghosts, witches and a host of other evil supernatural entities, made more believable to us by our daily interaction with violence and death. When you’ve carefully stepped over a few bloated, fly-infested putrid corpses on your way to the local stream, you learn to prepare yourself for the nightmares that will invade your dream at dusk. Yet, there was a perverse kind of comfort in those terrifying ghost stories, as they made the inexplicable normal and reassured us that if for some reason we became one of the bloated corpse by the wayside, all was not lost and we could still exist within our families as ghosts or with our loving ancestors in another realm. So, by the time, the war ended, I was already hooked on ghost stories and everything horror. A lot of my stories are from dreams I have which I then build upon. Others might call them nightmares, but to me, my dreams are part of my general make-up and I actively look forward to them as a vital source of writing material. Q. How did your childhood experiences and the civil war influence your stories in The Reluctant Dead? What stories do they play a part in? A. As I said, the Biafran war left me with vivid dreams that persist to date. While Haley Joel Osment sees dead people in The Sixth Sense, I dream of dead people almost every night…unfailingly. One of my stories, Night Flyer, is straight out of one of my dreams, with a bit more added to build the narrative. The tension between the Moslem North in Nigeria and the Igbo race till date, is integral to another one of my stories, Hadiza, even though it is still a story of revenge and unfinished business, where a scorned wife returns to wreak havoc on her faithless husband and mistress. Mention is also made to the war in A Good Student, set in the immediate aftermath of the Biafran war. Q. Is there anything you would like our readers to know that we haven’t already covered? A. Except to look out for my next book due out next year, with the working title, Our Bones Shall Rise Again. In the book, I narrate an African ending to the famous Igbo Landing tragedy of 1803 at St Simon’s Island, Georgia, USA, where a group of enslaved Igbos opted for mass suicide by drowning together in their chains rather than be taken into slavery. Their ghosts are said to still haunt the beaches till date. I am setting them free in my next book and returning their restless spirits back to Igbo-land, giving them their long-sought revenge in the process. In the meantime, The Reluctant Dead is available as both paperback and ebook on Amazon and can be ordered from most good book retailers. Reviews on Amazon will be highly appreciated. Thank you so much for this opportunity to showcase African Horror. ~ by Sumiko Saulson on July 23, 2014.